My family and I saw Simply Tsfat in concert this past January. They rocked the shul! We can't wait until they play here again. What a moving story...lyrical, hitting all the right notes...a song in the key of life. Music is the pen of the soul . . .
and this man's music must have given his pen a soul as well. Amazing read. I've heard about the group "Simply Tsfat", but this post sparked my interest yet again. I'm a non-Jewish woman who is working towards an Orthodox gerus. I find that the vast majority of my free time is engulfed by shirium on halacha and Chumash as well as saving to buy the copious amounts of Judaica and seforim that you need for a Torah-observant life. While I did not major in music in college, I've played woodwinds from age 8 and in high school to my early 20s, I was always involved in ensembles and music groups for fun (playing flute mainly but also saxophone). I have since sold my saxophone and 2 piccolos, but I still have my Armstrong Heritage flute (can't part with that thing!) I used in college. 6 months ago I was in a music store, window shopping some nice Yamaha piccolos (you know how it goes, play it, examine it, appreciate it - but wrestle with the notion of shelling out $1,000 for something that isn't related to your profession or your immediate needs!). I took a gander over to the strings. I was shocked that the student violins were around $200. 2 years ago, some viola teacher said that I had great fingers for violin playing. I thought why not. I brought it; not hardly knowing a thing about what I got myself into. Now 6 months later, I sometimes wonder if I was crazy. 26 years old, hardly time to do my laundry (I am VERY grateful there is a 24hour landry about a block away - I've been there at 2am a few times! ), and here I am taking violin lessons. But it's such an amazing sound (well, sometimes - I still "scratch" way more than I would like to at this point!) and you use your mind in a way no other task can (that note should be sharper, is my wrist relaxed? Bow faster - that part should really sing! My back hurts - what's going on with my posture?) and it gives a wonderful outlet for a frum person. Sorry for the long comment - again thanks for sharing! The Story reflects the warmth he feels for a fellow Jew. When I told Yoni (AKA Jonathin Hart)NOT to read "The Book" he was holding I was reiterating a very important point. One must be ready to read certain books or it will turn them off and may do much harm. To every moment there is the right time. I am blessed to have seen that right time reflect such greatness upon Yoni, his wife, children and grandchild. May it grow forever. Of course today, we both learn all the sifrei Rebbe Nachman, we are both in a place to learn and grow with Rebbe Nachman. I am proud of you for sharing your important story and I hope that you and Simply Tsfat continue to inspire every soul worldwide. Hashem gives us gifts for us to use in His service. He would not have given you the gift to play violin if he had not meant for you to use it. 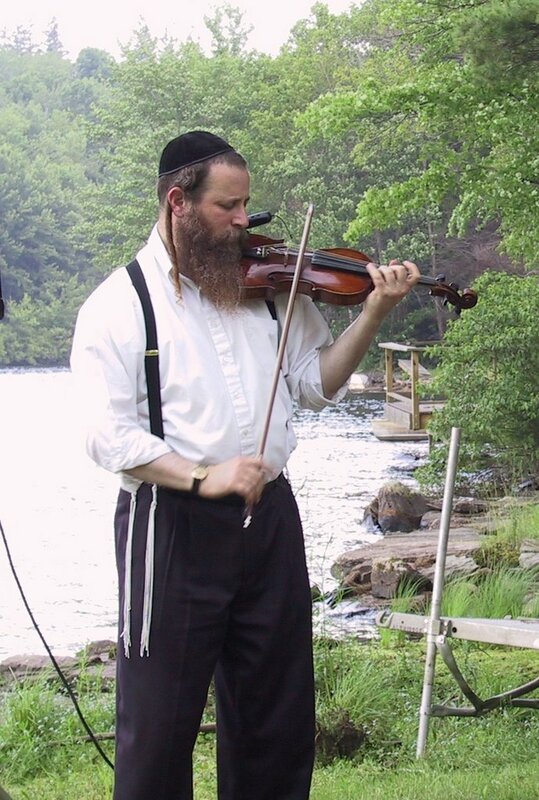 I've had similar discussions with Mendel, my guitarist, and I can tell you that there is no question in my mind that the music that eminates from his guitar comes straight from shamayim. BTW I saw Simply Tzfat a few weeks ago in Milwaukee and they were great. I'm still finding out the secrets!! You guys are great .We had a kumzitz with you on top of a hill in sfat about 7 years ago.Still a big fan. as one of the 2500 people who attended last year...I HIGHLY recommend this!!!!!!!!!!!! Only if you have interest in learning more about simple should you read this article. It provides all you want to know about simple. Beautiful story and well written.......it touched my heart because I also held and played a violin as a child and heard it's sound echo the one in my soul. The sound is still there in my heart. May Hashem bless and keep you!